RAID 1 is one of the many RAID levels supported directly by OS X and the newer macOS. RAID 1 creates a mirror (an exact copy) of the data on a storage drive onto one or more additional disks. RAID 1 requires a minimum of two disks; additional disks in a RAID 1 set increase overall reliability by the power of the number of disks in the RAID 1 set. An example of the increased reliability that a RAID 1 set of mirrored disks can provide can be illustrated with a simple two-disk set of identical drives. Assume the failure rate for any one drive is 10 percent over its expected lifetime. The possibility of both drives in the set failing at the same time would be (10 percent) raised to the power of two (the number of disks in the set). The resulting effective reliability becomes a one percent chance of failure over the expected lifetime. Add a third disk to the RAID 1 mirrored set and the resulting chance of failure drops to .1 percent. The total disk space available to your Mac is equal to the smallest member of the RAID 1 mirrored set, minus a slight amount of overhead. For example, if you have a RAID 1 set that consists of a 500 GB drive and a 320 GB drive, the total amount of space available to your Mac would equal 320 GB. The extra space available on the 500 GB drive is wasted, and not available for use. While RAID 1 allows for the use of drives of dissimilar sizes, it is obviously not advantageous to do so. 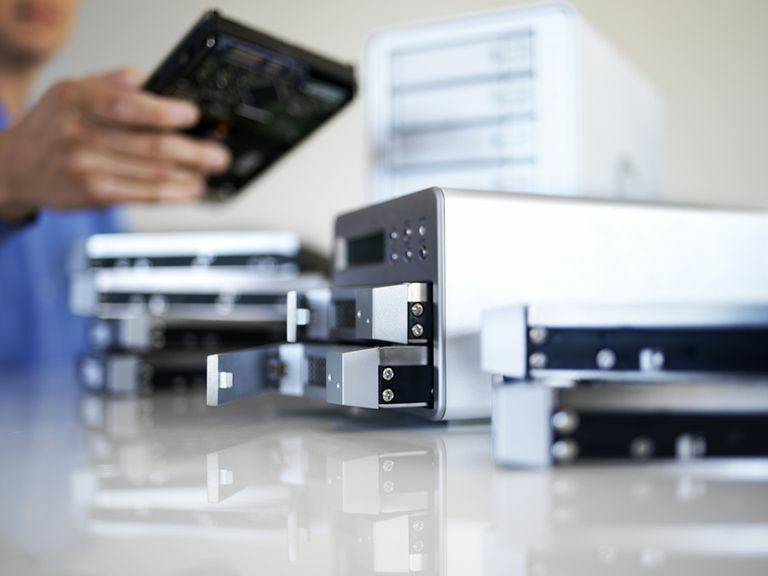 Ideally, a RAID 1 set should consist of disks of the same size, and when possible of the same manufacturer and model. Though there is no requirement for the disks to be the same, it is considered good RAID practice. A RAID 1 array should not be confused with a backup of your data. RAID 1 specifically addresses failures caused by hardware, and can do nothing by itself to recover files you may have deleted by mistake, or that became corrupt due to application crashes or other issues. RAID 1 is an exact copy, so as soon as a file is deleted, it is deleted from all members of the RAID 1 set. With the advent of OS X El Capitan, Disk Utilities ability to create and manage RAID arrays was removed. While it is possible to use Terminal to work with RAID arrays, an application like SoftRAID Lite can easily perform the RAID functions that use to be included in Disk Utility. When macOS Sierra was introduced, the ability of Disk Utility to create and manage RAID arrays was returned.